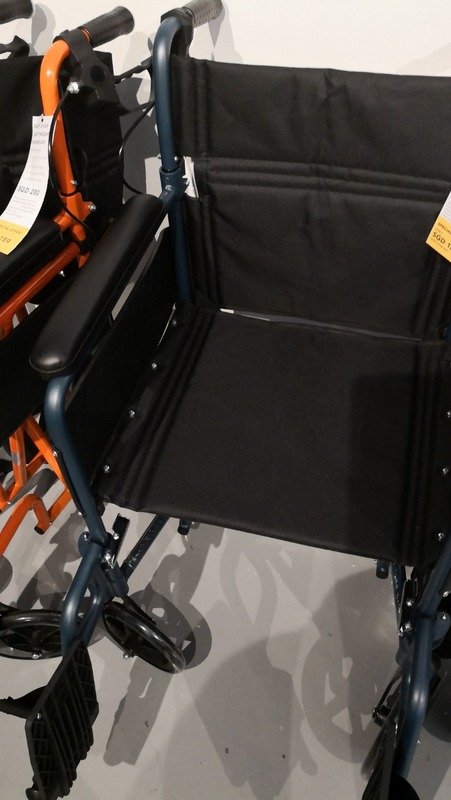 The HappyWheels Hero Chair is a stylish lightweight wheelchair perfect for daily use. Detachable armrests make transfers to and from the wheelchair easy and the sleek mag-style rear 24" wheels offer a comfortable grip for the user. The wheelchair comes with a space-saving foldable backrest and quick-release detachable footrests to make storage and transportation of the wheelchair easy. Wheelchairs are best suited for people who would like the option to self-propel. Should you prefer a chair that requires caregiver assistance, you can consider getting a pushchair. Durable solid PU tyres - No pumping required! Our previous wheelchair weighs about 12kg. 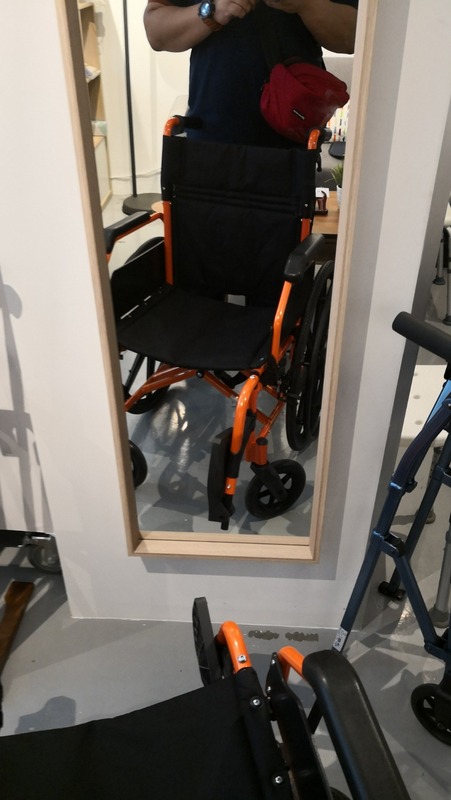 While this new wheelchair weights 15.8kg, my dad and I feel that it is much lighter to maneuver. Definitely recommended if you need to ferry a person regularly. More love to the caregiver!